Christmas might be over, but I am very lucky to have this week off for vacation! Oreo has almost destroyed all of her toys-some in a matter of minutes! 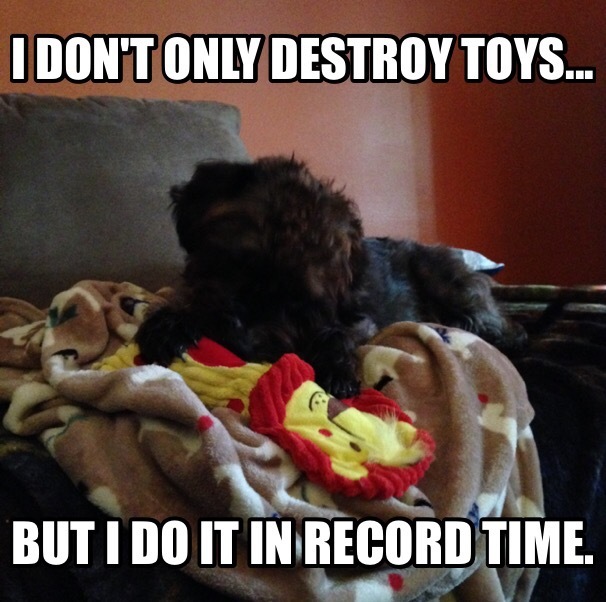 Luckily, since I know she is a big chewer, I buy toys that can be ripped, but still played with. For example, the snake’s squeakers (in the pic) have all been chewed out, but we can still play tug. 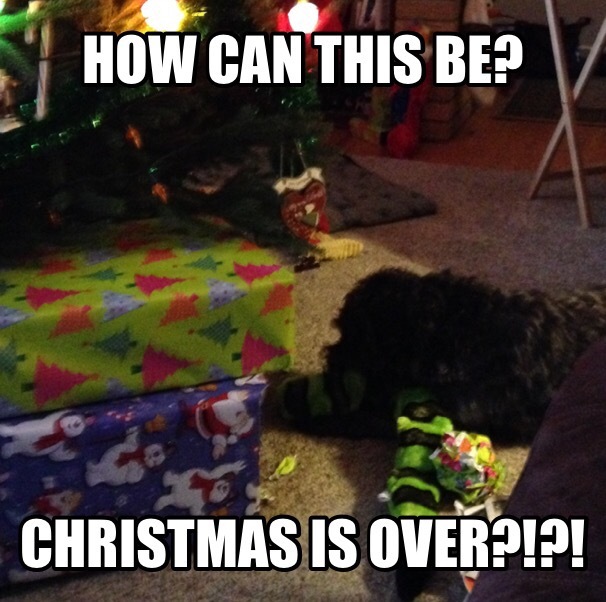 Yesterday Oreo found a present that smelled like her toys under the tree. Did she wait until Christmas to open it? No!